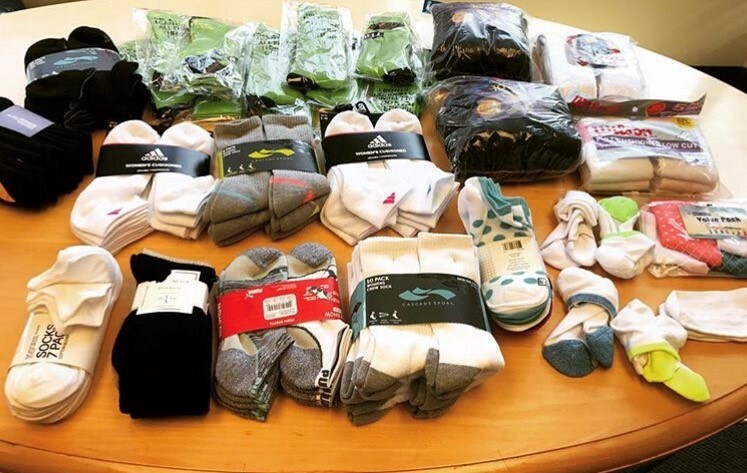 We are excited to be hosting our second of two annual sock drives to support Mary’s Place; a non-profit day center that offers services to homeless woman and children to empower their lives!!! How? Simple! 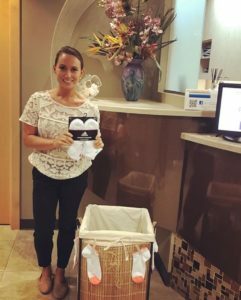 Place a new pair of socks in your bag prior to your orthodontic appointment, or if you’re in the neighborhood just drop by! From the moment we walked in the door we were immediately humbled by all of the homeless woman who were anxiously waiting to receive their pair. The team of Mary’s Place expressed a tremendous amount of gratitude informing us that we couldn’t have donated at a better time. Little did we know, the 500 plus pairs of socks suddenly became the ONLY inventory they had in stock. If it wasn’t from all of you dropping by and mailed packages, we would not have been able to make this happen! 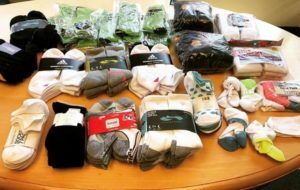 Thank you all again and we invite you to participate and become our socks partners for Mary’s Place in our next drive that will take place in October!